Montbéliard, Atelier des Halles, Paul Eluard, 1972, no. 299. 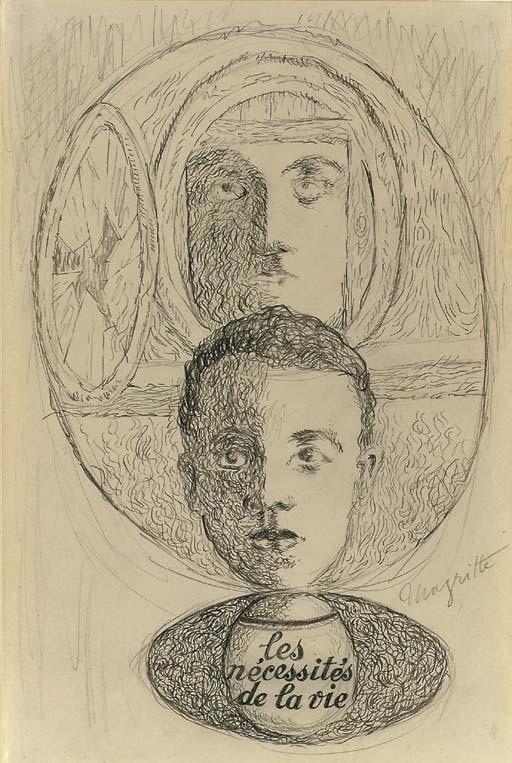 This drawing, a portrait of Paul Eluard was made for the re-edition of Eluard's book Les nécessités de la vie et les conséquances des rêves which was published in 1946 by Editions Lumière in Brussels. This book was published with twelve drawings by Magritte.